Representing Global Luxury Brands in India. A dedicated team handling sales, marketing, service centre, logistics and finance. The man behind the philosophy of luxury operations in Astra. He is a recipient of the Montblanc Lifetime Achievement Award. Our head of Operations is one of the finest analytical brains in the business and is an alumnus of IIT and IIM. Heads the Business Development and Digital Initiatives. Comes with over three decades of sales and marketing experience in multinational FMCG Companies. 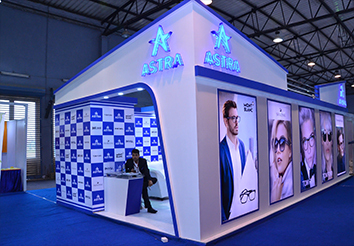 21 years of optical industry expertise including in the contact lens category having successfully established a large array of luxury and lifestyle eye wear brands in India. He has been part of the leadership teams in Safilo, Ciba Vision and Bausch & Lomb. An alumnus of St. Stephens's College, Delhi, with over 20 years of experience in the categories of consumer marketing and luxury sports management.